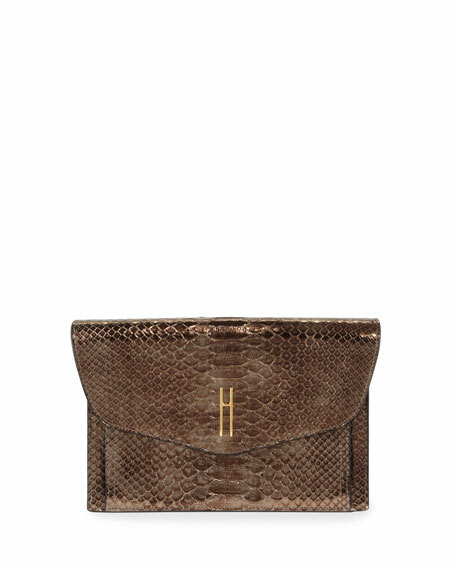 Hayward metallic python clutch bag. Inside, one zip pocket; suede lining. 6"H x 9"W x 1.3"D.
"Bobby" is made in USA. 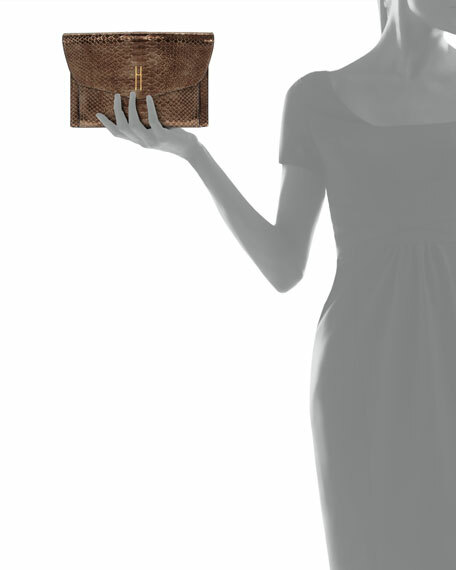 For in-store inquiries, use sku #2290389.